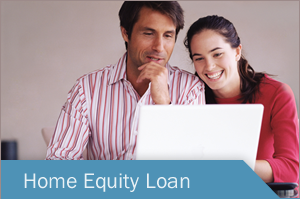 Choosing between a Home Equity Loan and a Line of Credit. Whether you're looking to finance a kitchen upgrade, finish a basement suite for some extra revenue, pay off some high-interest credit cards, or pay for a family member's education, you may be considering whether you should get a home equity loan or use a line of credit. Both financing options allow you to tap into the biggest investment you've made - your home equity - to support your current goals and plans. Here are some of their key features and differences. Lines of credit will generally have an interest rate that is tied to the prime rate (eg +3%, -0.5%). If prime rates go down, your payment could go down; however, if prime rates go up, the amount you owe each month will also go up. With a fixed interest rate, you can be confident that you can avoid monthly payment shock as market rates change. These rates are often 2 to 3 times lower than credit card rates. 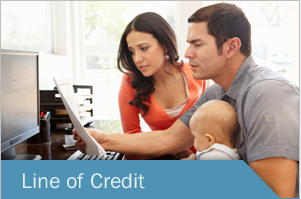 A line of credit will often have minimum payment, based on balance, so the amount due each month may differ. Often, lines of credit are secured to the property to enhance the interest rate, especially on larger loans. A monthly payment schedule is great for those who might have a hard time sticking to a regular payment on your own. You'll pay down your loan on an amortized schedule that you know in advance. Most businesses use lines of credit to smooth out erratic cash flows, bridging the timing gap between incoming revenues and and outgoing expenses. Funds can be used for multiple purposes to save money by paying down other debts or expenses like property taxes, renovations or paying for an education or a wedding. Renovation or construction loans can be done in multiple advances? 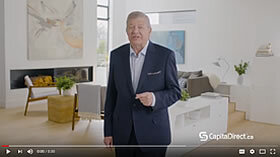 If you think a home equity loan is the right solution for you, or if you have more questions you'd like answered, please contact Capital Direct at 1-800-639-2274. Pay off your line of credit and get the funds you require in one simple funding process.